Hello and welcome to design-birdy.com today we would like to share with you an article about crocheting this beautiful and super cute smiley keychain that is presented on the photos and to crochet the keychain like this on our own we will need some kind of an instructions or guide that will help us and show us what to do step by step. 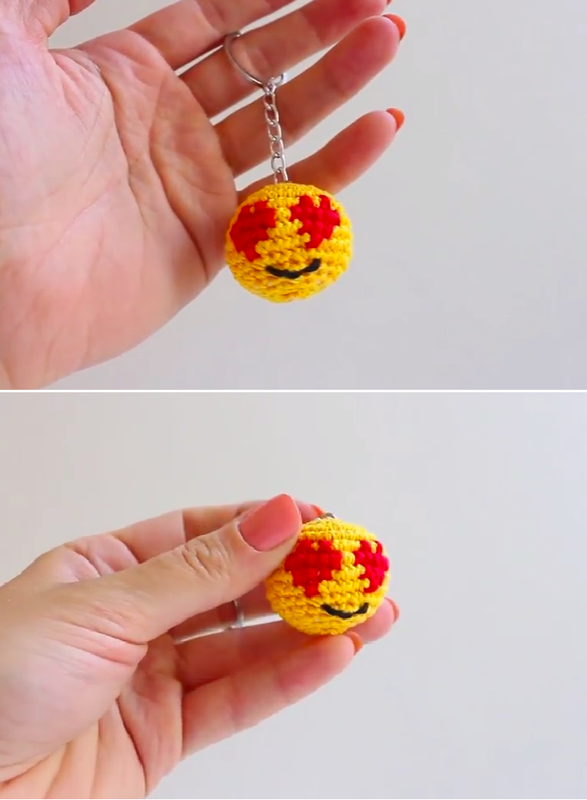 It is really easy to crochet the smiley keychain and if you follow the tutorial carefully you won’t face any kind of a problem or misunderstanding. It won’t take much time too, I am sure that you are going to finish working on the smiley keychan so fast to will crochet the other one too.